Have you ever had a debt collector come after you for debt collection? The writer has for a rather surprising event that took place in our lives. We had to use a hospital that was out of state. We were unfamiliar with their procedures relative to billing. All of the insurance information was provided when we checked into the hospital. During our stay we had x-rays. Also a number of other tests that needed to be completed to diagnose what the problem was. Each test is billed separately and invoiced separately which was a big surprise to us. Separate Businesses Not Passing Information for Billing Purposes. Little did we know that the hospital and the x-ray department were actually separate business entities within the hospital. The hospital did not pass the insurance information along to them. Six months later someone coming after us by phone for debt collection. The amount was only $250, however the x-ray department deserves to be paid for the services they provided. But what a surprise when you receive an automated call for debt collection. You have no idea what it is for. We hung up on the automated caller five or six times. Then decided that they were not going away so we had better deal with this. We accepted the call and were connected with a debt collector agent who rudely explained the problem to us. From his perspective we were deadbeats who were not paying our bills. Once he understood that he was not going to get paid unless he provided us with the information needed to get our insurance company involved, he was much more polite. These guys have a tough job to do with debt collection activities. They do run into a lot of people who really do not want to pay their debts or possibly do not have the money to pay what they owe. Talking to rude people who have no interest in talking with you is a tough job in my books anytime. Never the less, once he found out that he would be able to collect, and just had to provide the proper information he was fine. The example we discussed was relatively simple compared to many situations. Sometimes just finding the person who owes money can be a difficult thing to do. Once you have found them, there is the challenge of getting them to acknowledge that they owe money and that they need to pay it back. Most people are honest and when you confront them will work towards making arrangements to repay their debts. Unfortunately there are other consumers who have no desired to pay their bill and in fact plan to escape the debt collection process whenever possible. These are the tough ones to deal with and many times debt collection involves some form of harassment including taking them to court to make them pay up. They will harass you on the phone, send threatening letters and if it is a large amount of money may even start recovery procedures if there is equity involved such as a car or a house. Picking up a car and selling it to recover the debt owed is a common approach for many collection agencies. Taking over homes is more problematic, to recover the cash involved in the mortgage, however you need to get the people out of the house before it is sold. Court orders are sometimes needed to make people move out so that the house can be sold. All this is very difficult, however it is part of the debt collection process and each situation will be different. Knowing the laws in your town or city can also help with regards to understanding what a debt collection agency can do and cannot do. Know your rights. 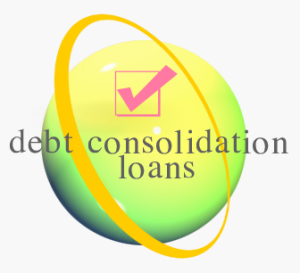 Understand the alternatives when it comes to debt collection. Eviction can make a huge difference in your life in terms of the assets you retain during a debt collection process.